"The Large Format Selfie Stick (LFSS) consists of a 4×5 Graflex press camera attached to the end of a thick 8-foot-long pole"
It has come to our sad attention that Mr. Fred Lustig, who repaired Graflex cameras decades into his retirement from the industry, has passed away. His knowledge and skill and his unique gifts to the community will always be missed. National Public Radio asks Help Us Solve An 'NPR' Camera Mystery but skips over the chronology of Graflex as its own Rochester company. Any idea what NPR NY is? Carl Couchman explores the Northern California coast with TMAX — the truck. Mark Mann wants to photograph the masked competitors of "lucha Libre" in Mexico City using his Graflex Super-D. Pledge $20 or more to support his project and receive a print in exchange! We are saddened to report the passing of former Graflex employee and contributor to the Graflex Historic Quarterly, Tim Holden. We are saddened to report the passing of the Graflex Historic Quarterly's co-founder and publisher. Mike was an enthusiastic supporter of the Quarterly and a knowledgeable Graflex collector. Tell your story on PBS's "History Detectives"
According to the New York Times, Joe Rosenthal, who took the famous photo of US Marines raising the flag at Iwo Jima in WWII, has died. Fred Lustig has is still in the Graflex repair business. The Steven Cohen Gallery of Los Angeles, CA has an shows Graflex Sees the War, a set of vintage photographs produced in conjunction with Folmer Graflex for photographers from the Office of War Information, the U.S. Signal Corps, Air Force, Marine Corps and Navy. The Library of Congress has an exhibit on The Empire that was Russia with color photographs made from 100-year-old glass plates. Read about the technique here. 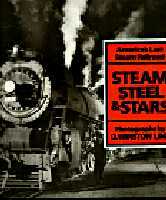 O. Winston Link, the who made his mark on 20th century photography with hyper-realistic photographs of steam trains, passed away Tuesday, January 30. He was found in his car, outside a train station in Katonah, New York, CNN reported. See more Graflex.Org articles about O. Winston Link here, and here. Paramount Cords, manufacturer of heavy duty "Sync Cords" and products for the professional photographer, announces its new Graflex Cords service. Paramount Cords claims to be the largest manufacturer of sync cords in the world. They stock or can manufacture sync cords for any camera. See their new Graflex sync cords page for more information and photos of Bipost, Solenoid, and ASA bayonette cords, and where to use them. Also, see our own Flash pages. Bill Cress, ongtime provider of flashbulbs in the US, opens his new web site. Meggaflash has taken over production of flashbulbs, and is making and selling screw-in bulbs. Read test report and the history of Meggaflash. Press photography and cameras in Atlanta. Midwest Photo Exchange Sells Graflex WD Service Parts Collection. Fred Lustig begins service business. Facility expanded -- phone number and address changed. Do you have news? Send it to us!